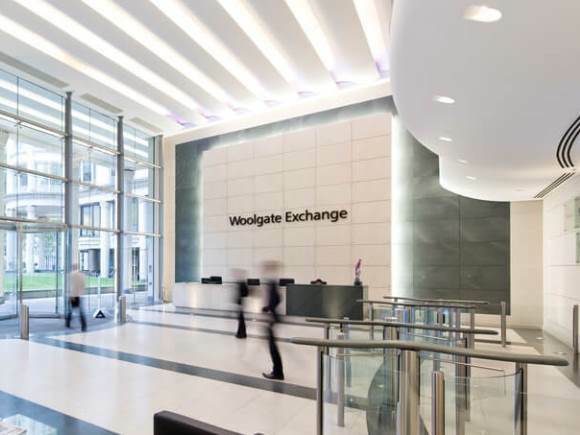 Basinghall Street managed offices are within a spectacular white building that is located near Moorgate tube station in London. The office space to rent is fully managed and offers furniture if required including workstations, digital phone handsets and filing cabinets. With negotiable rent term periods available, you will find that this office rental has up to 6000 square foot of accommodation to rent that can be redesigned to a particular layout preference. Office suites are cabled for IT and telephony and can be configured to client's requirements or personalised with private servers. With a spectacular reception on the ground floor, meeting rooms or boardrooms can also be hired within the property..